Large commercial aircraft and some smaller commercial, corporate, and private aircraft are required by the FAA to be equipped with two "black boxes" that record information about a flight. Both recorders are installed to help reconstruct the events leading to an aircraft accident. One of these, the Cockpit Voice Recorder (CVR), records radio transmissions and sounds in the cockpit, such as the pilot's voices and engine noises. crash survivable part of the aircraft, usually the tail section. Each recorder is equipped with an Underwater Locator Beacon (ULB) to assist in locating in the event of an overwater accident. The device called a "pinger", is activated when the recorder is immersed in water. It transmits an acoustical signal on 37.5 KHz that can be detected with a special receiver. The beacon can transmit from depths down to 14,000 feet. Following an accident, both recorders are immediately removed from the accident site and transported to NTSB headquarters in Washington D.C. for processing. Using sophisticated computer and audio equipment, the information stored on the recorders is extracted and translated into an understandable format. The Investigator-in-Charge uses this information as one of many tools to help the Safety Board determine the Probable Cause of the accident. The CVR records the flight crew's voices, as well as other sounds inside the cockpit. The recorder's "cockpit area microphone" is usually located on the overhead instrument panel between the two pilots. Sounds of interest to an investigator could be engine noise, stall warnings, landing gear extension and retraction, and other clicks and pops. From these sounds, parameters such as engine rpm, system failures, speed, and the time at which certain events occur can often be determined. Communications with Air Traffic Control, automated radio weather briefings, and conversation between the pilots and ground or cabin crew are also recorded. A CVR committee usually consisting of members from the NTSB, FAA, operator of the aircraft, manufacturer of the airplane, manufacturer of the engines, and the pilots union, is formed to listen to the recording. This committee creates a written transcript of the tape to be used during the investigation. FAA air traffic control tapes with their associated time codes are used to help determine the local standard time of one or more events during the accident sequence. These times are applied to the transcript using a computer process, which provides a local time for every event on the transcript. More precise timing for critical events can be obtained using a digital spectrum analyzer. This transcript contains all pertinent portions of the recording and can be released to the public at the time of the Safety Board's public hearing. The CVR recordings are treated differently than the other factual information obtained in an accident investigation. 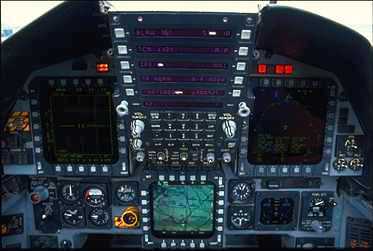 Due to the highly sensitive nature of the verbal communications inside the cockpit, Congress has required that the Safety Board not release any part of a CVR tape recording. Because of this sensitivity, a high degree of security is provided for the CVR tape and its transcript. The content and timing of release of the written transcript are strictly regulated. The FDR onboard the aircraft records many different operating conditions of the flight. By regulation, newly manufactured aircraft must monitor at least twenty eight important parameters such as time, altitude, airspeed, heading, and aircraft attitude. In addition, some FDRs can record the status of more than 300 other in-flight characteristics that can aid in the investigation. The items monitored can be anything from flap position to auto-pilot mode or even smoke alarms. With the data retrieved from the FDR, the Safety Board can generate a computer animated video reconstruction of the flight. The investigator can then visualize the airplane's attitude, instrument readings, power settings and other characteristics of the flight. This animation enables the investigating team to visualize the last moments of the flight before the accident. Both the Flight Data Recorder and the Cockpit Voice Recorder have proven to be valuable tools in the accident investigation process. They can provide information that may be difficult or impossible to obtain by other means. When used in conjunction with other information gained in the investigation, the recorders are playing an ever increasing role in determining the Probable Cause of an aircraft accident.